Footwear is my addiction. And this time of year, boots are my go-to item. I currently have picked up four pairs of boots for the coming Winter and I just need more and more. The latest addition to my collection are these gorgeous riding boots are from Adesso at Shoetique*. 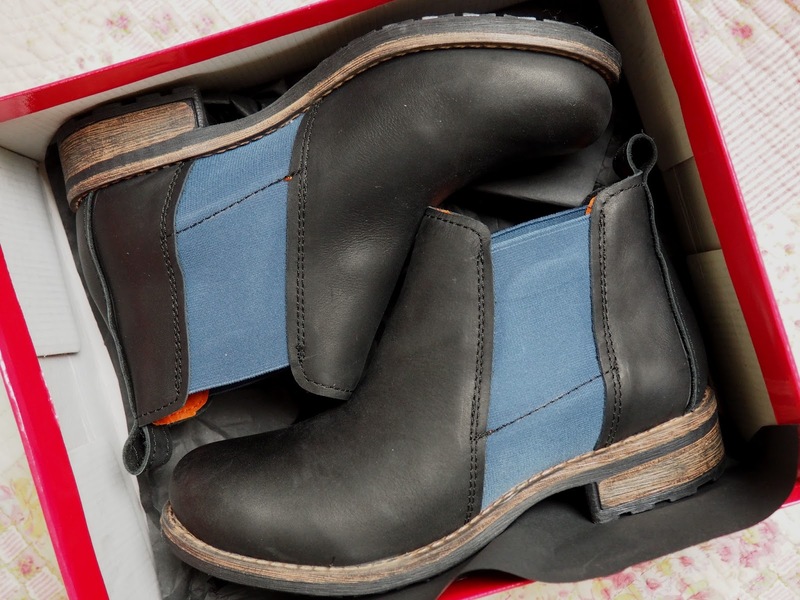 These are seriously the world's comfiest boots. I wore them for the first time shopping and was a little worried about needing to pick up some plasters for potential blisters, however I certainly didn't need to worry. These are like wearing slipper boots out and about. 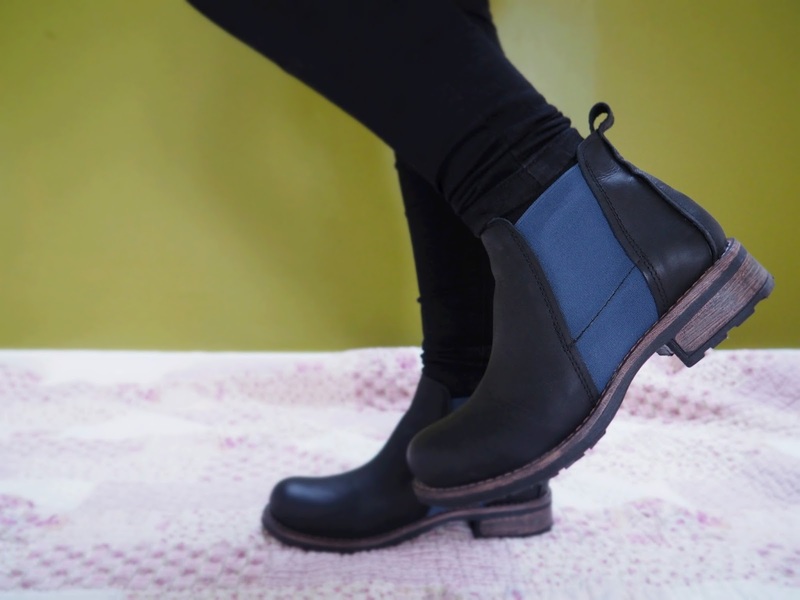 The leather is so flexible, meaning these are so easy to wear without giving you that awful 'crunchy' feeling, every time you take a step. What drew me most to these boots, is how different they are. 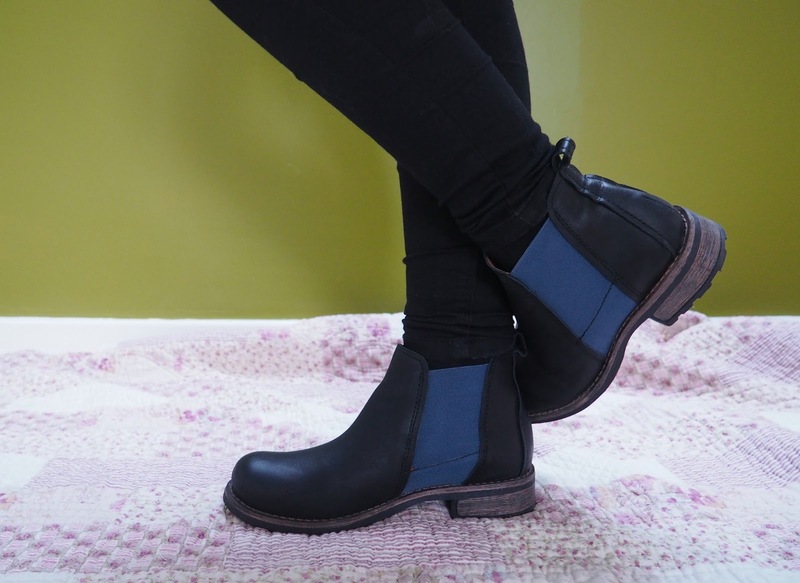 I've never seen riding boots with the blue detail on the elastic, making these a little more quirky than just plain black. I also adore the contrast between the sole and the main boot, I think it adds a little more uniqueness, to these gorgeous boots. And the best part? They go with everything. I've tried them with jeans and skirts/dresses and tights and they just look so effortlessly cool. They're so easy to dress up and down too, and can definitely take an outfit through from day to night. I know these will be glued to my feet over the next few months, and that's fine with me! What's your favourite footwear for this time of year?